Rent a Bike and Cruise around Cape Cod! Idle Times Bike Shop Inc. is a full service bicycle business with four locations to serve all of your bicycling needs, including individual bike rentals and group rentals. Direct access to the bike path and great parking at our 4 Idle Times Bike Shop locations. Families with children and beginning cyclists can easily get to the bike path by walking your bikes or riding to the path on sidewalks off the road. Proudly serving Cape Cod for over 40 years! Designed for leisure riders and those who wish to create their own path. Comfort, Hybrid, Mountain, Tandem, Recumbent + Fat Tire styles available. Bring the whole family! 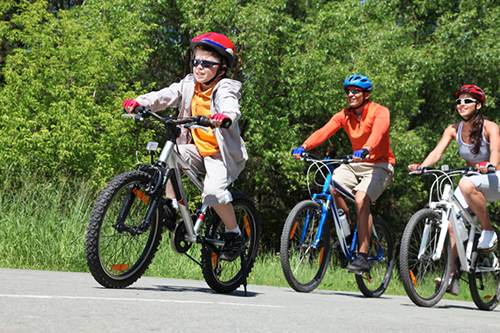 We have children’s bikes of all sizes to fit your child’s ability. Now include a computer, pump, spare tube, tire levers and seat bag! Flat Handlebar, 9 speed, 18 speed + multiple frame sizes. Capable of carrying two children up to 100 pounds total. For the little people in your family, we have bicycle trailers and tag-a-long options. 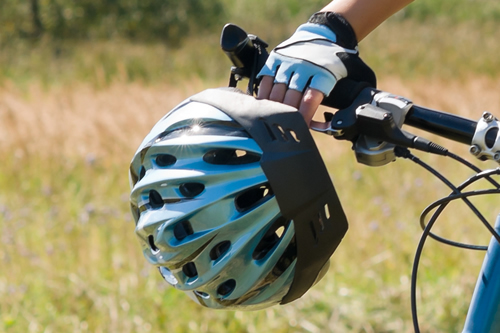 All of our helmets are approved by the required United States CPSC helmet safety standards. Child and adult sizes are available. 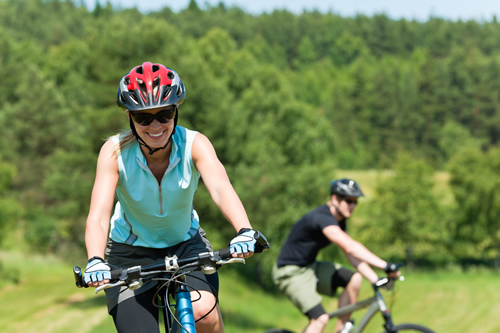 Select a helmet with your bike rental! Trunk mount can carry 2 to 4 bikes and hitch mount can carry 3 to 5 bikes.